Fill a child's stomach and they will open their mind. Proper nutrition is a vital building block for children's growth and development. 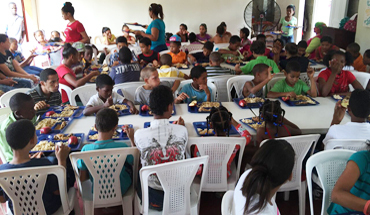 This project provides a cooked nutritious meal to impoverished children, 5 days per week. 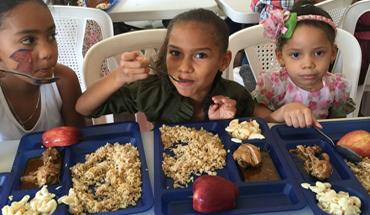 The children enrolled in the program do not have access to daily meals or clean drinking water and are carefully selected based on need. 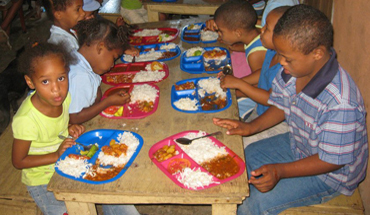 Since 2010, our Nutrition Project has provided impoverished children with more than 370,084 meals. Meet the expert team who helps make this happen. Project Mañana is proud to partner with Vitamin Angels who's mission is to help at-risk populations in need – specifically pregnant women, new mothers, and children under five – gain access to lifesaving and life changing vitamins and minerals. 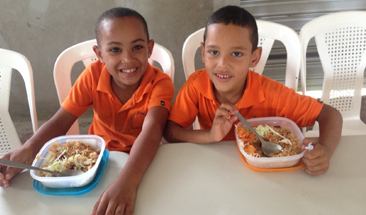 The Nutrition Project is made possible through Project Mañana's Sponsor A Child program; which unites children in need with individual sponsors who wish to address the children's immediate and basic needs. Sponsorship gives poor children the tools and opportunities necessary for success by providing benefits and supporting programs for each child - primarily in the areas of nutrition and education. Sponsorship starts at less than $2 per day.